Party at the Capital of Spring Break. 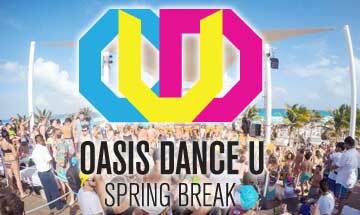 Oasis Dance U is a high energy mix of Celebs, House DJ’s, Rappers, Models and the hottest Spring Breaker’s from across the globe. Enjoy theme parties and daily parties and activities on the beach. 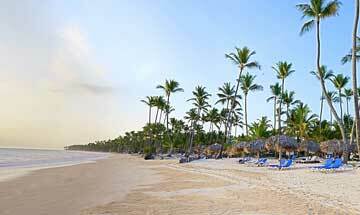 STS Travel has handpicked the hottest destinations for your Spring Break Vacation! We have reviewed a ton of resorts and offer only the very best for your Spring Break trip. Our Spring Break Video will give you a taste of what you will experience. The hard work is done, just narrow down your dream location and book! 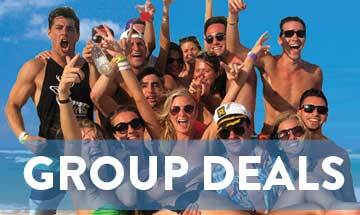 Do you have a group of 8 or more planning to travel for Spring Break? We have a deal for you! Our agents will guide you in selecting the perfect destination and resort while providing special pricing that is unbeatable! Contact us at 800-648-4849 or submit a group request here. Spring Break is about FUN, don't waste it standing in line and counting your pennies. The STS CANCUN VIP Party Package gets you in to the hottest clubs, on the busiest nights with express entry. Also enjoy exclusive FREE drinks, specials, pregame happy hours. STS offers a variety of positions that provide the opportunity to travel and be part of the Spring Break scene. If you have high energy, outgoing personalities and a passion for traveling please check us out. Are you connected on Campus and know a lot of people? Would you like to Travel Free and Earn Cash? If the answer is yes, we want to talk to you. Are you looking for the Top Destinations for Spring Break '2020? 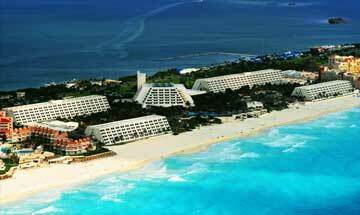 Once again, Cancun is the overall number one choice. These top resorts have the right mix of parties and beach. View All Check out "Top 5 Must Do Things" as each of our Spring Break destinations. Are you looking for the ultimate Spring Break Travel Packages? College Spring Break is your chance to blow it out with your friends for a week of sun and fun. 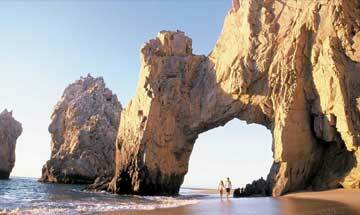 STS has large blocks at the most popular Spring Break Resorts in Cabo, Cancun, Punta Cana, Fort Lauderdale and more. 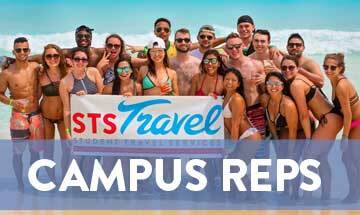 With STS, you will be in the center of the Spring Break scene, partying to DJ's poolside, getting crazy in daily contests, snorkeling in crystal clear waters. 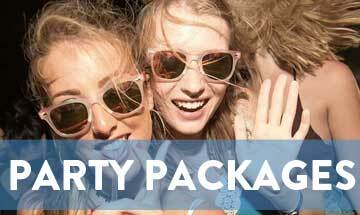 With STS Spring Break Packages everything is included. At night jump to the front of the line and party like a rock star at the top clubs. Our staff will be onsite to assist you and ensure that you experience an incredible vacation. Safety is a prime concern at STS Travel. Our Spring Break travel packages feature locations and hotels that cater specifically to young adults. In addition, we have on-location staff in each or our destinations. Follow these tips to help have a safer Spring Break Experience.